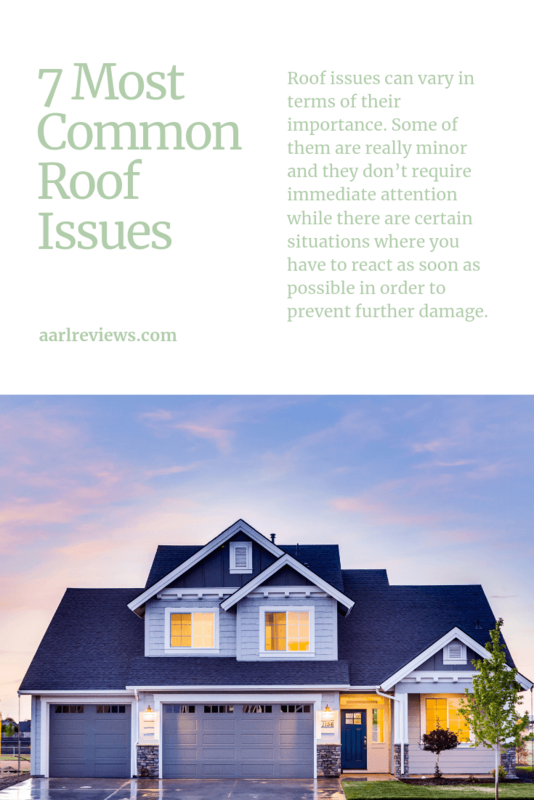 Roof issues can vary in terms of their importance. Some of them are really minor and they don’t require immediate attention while there are certain situations where you have to react as soon as possible in order to prevent further damage. Understanding which is which, is the hardest part. If you’re a new homeowner with limited experience or if you have just taken this duty from your parents, it is very important to understand the issue at hand and how they might impact you. With that being said, we will analyze some of the most common issues and whether or not you will need a roofing service to remedy the damage. There are several reasons why you might experience issues with the installation. In most cases, it is due to faulty material being used. This is something that needs to be checked immediately as bad installation can lead to all sorts of hazards. When we mention roof problems, we usually refer to leaks. They can pose either a big or a small problem; it all depends. You can repair some minor leaks yourself but, if you don’t have experience, perhaps it’s better to call a roofing contractor to help you out. Of course, all these leaks are caused by holes in the roof. The best way to address this is by going to the roof periodically and searching for punctures and other signs of damage. Keep in mind that leaks are not necessarily caused by damage to tiles and shingles so you will likely want to address these issues separately. Gutters are a very important part of the roof allowing water to drain properly. If there is any damage to it, water will not be able to go where it needs to so puddles will start forming on the roof. Or, the water may start dripping down the side of your house. Sometimes, spills are caused by stuffy gutters as leaves and debris tend to clog them. If it’s just a cleaning issue, you can do it yourself. If there is damage to the gutters, make sure to call a roofing company to help you out. Trees are another potential issue. During strong storms, tree branches may start swinging around and damage your roof. Even without wind, they tend to rub against the side of your home and roofing. Over time this can cause all sorts of issues. Furthermore, trees simply invite birds and other animals which can cause damage not only to your roof but home in general. Luckily, this is something you can easily resolve by yourself. Insects and animals are among the major causes of a roof and structural damage. Whether its birds or some other animals, they have to be dealt with as soon as possible. Although they won’t cause instant damage, the much bigger issue with them is reproduction; 2 mice can easily turn into a horde! Roofs are very gentle and need constant care. In fact, most experts will recommend that you check on it at least twice a year. Improper maintenance or lack thereof can lead to all these issues and can increase the existing ones. Make sure that you’re proactive as in some cases, damage can easily be reduced if you treat it immediately. As you can see, it takes a lot of negligence for major damage to occur. Still, it is possible given that signs of deterioration are not that obvious and most homeowners are not proactive. If you invest just a little bit of your time, you can resolve most of the problems without having to call a roofing contractor.